The media-streamer arms race continues unabated, with Roku taking the wraps off its Roku 4 less than six months after shipping its retooled Roku 3. The Roku 4 joins the ranks of the TiVo Bolt and Amazon’s Fire TV in delivering 4K resolution (with HDMI 2.0) and supporting 802.11ac Wi-Fi, and there's a new version of the Roku OS that improves features introduced with the Roku 3. The new model looks distinctively different than previous generations, with a thinner and wider form factor designed to help cool its higher-performing components, including a quad-core CPU and the aforementioned 802.11ac Wi-Fi adapter. The Roku 4 is also outfitted with a hard-wired ethernet port and an optical audio output. When you lose track of the remote, you can touch a button on the back of the box and it will ping the remote and cause it to play a tune to help you locate it. 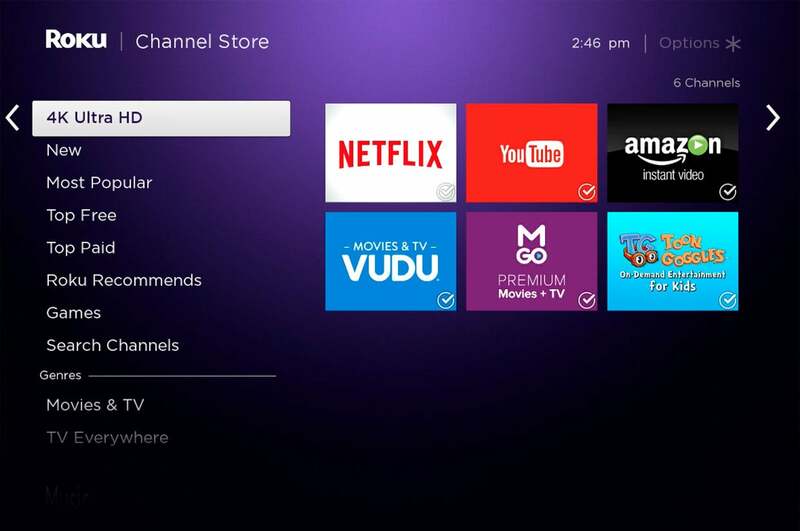 All the software features introduced with the Roku 3 carry over to the new operating system, Roku 7, and many of them have been improved. Roku Feed, for instance, has been expanded to enable users to track more content, not just movies. With the original version, you could track new movies and receive notifications when they became available on one of the many services available on Roku devices. The new Roku user interface will include a channel to make it easy to find 4K content that's available for streaming. “Customers immediately wanted other content in their feeds,” Roku Director of Product Management Lloyd Klarke said in an earlier briefing. “So we added more categories of content—not just movies, but actors, TV shows, and even price drops. It’s search that keeps on searching.” In the new OS, a users’ feed will inform them how many updates are available, and purple triangles will identify updates that they haven’t seen before. Multiple episodes of newly available TV shows will all be grouped together. 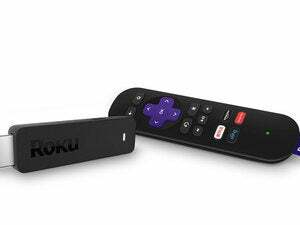 A new feature called Hotel and Dorm Connect will make it easier for Roku users to connect Roku and Roku Streaming Stick devices to Wi-Fi networks that require sign-in through a web browser. This is a common requirement in hotels and college dormitories. Connect the Roku to the password-protected network and then use a smartphone, tablet, or laptop to sign in with the required user ID and password to begin streaming on the bigger screen of the TV. Voice recognition is one feature that won’t see any updates—at least for now. This is becoming an increasingly important feature among media players, and Google, Apple, and Amazon are all strong this area. We’ll compare the performance of the Roku 4, Apple TV, Fire TV, and Android TV in this and other areas at a later date. The Roku 4 will be priced $30 higher than the Roku 3 (at $130), so it’s unlikely that the existing lineup will see significant discounts for a while. 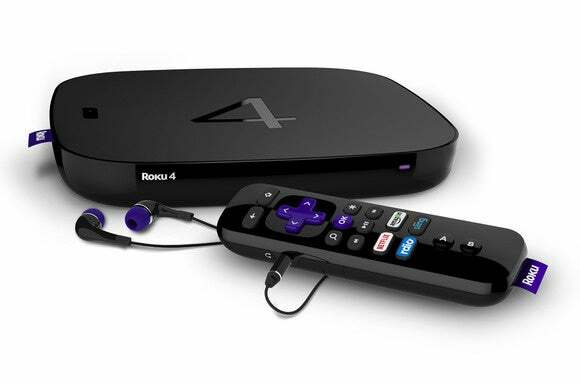 The Roku 4 is available for pre-order now, with an October delivery date. Roku OS 7 will be rolled out to existing Roku players and Roku TVs (models manufactured in May 2011 or later) between mid-October and November.